If you are taste centric, then you will simply love this tea. Tie Guan Yin also carries anti aging effects. 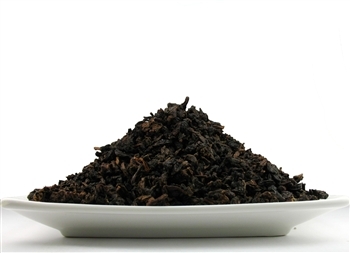 Recently, Japanese researchers showed that the Tieguanyin polyphenols can avert excessive oxidation; purine alkaloids, indirectly play a role in scavenging free radicals, so as to achieve the purpose of aging. Tie Guan Yin is one of the most popular premium class Chinese tea. When Ti Guan Yin tea is brewed, it gets golden color with a sweet taste. Hot tea brewing method: We recommend using clay or porcelain tea ware. Rinse tea cup and teapot with hot water. Fill the teapot 1-2 teaspoons tea leaves for every 8 OZ of water. Steep tea leaves in boiling water for 1 minute for the first and second brewing. Gradually increase steeping time after. Iced tea-brewing method: (to make 1 liter/quart): Place 6 teaspoons of tea into a heat resistant pitcher. Pour 1 1/4 cups freshly boiled water over the tea. Steep for 5 minutes. Quarter fill a serving pitcher with cold water. Pour the tea into the pitcher straining the leaves. Add ice and top-up with cold water. Garnish and sweeten to taste.